Whatever your business is, your customers don’t really care how good and unique your products or services are. Unless they are 100% satisfied with the level of the customer service they get from your company, they might easily switch to your competitors in a blink of an eye. To grow your business and stay on top in today’s highly competitive marketplace, you have to realize that it’s the Customer Service that really determines your business success. Statistics says that over 50% of U.S. consumers switched their service providers in 2013 due to poor customer service experiences, as stated in the Accenture 2013 Global Consumer Pulse Survey. Today’s consumers are much more demanding than you might think. They are impatient and expect quick customer support whenever questions and problems arise. Do you still rely only on phone and email? Guess what? These traditional customer support channels are no longer enough. Implement Live Chat support on your website to be easily reachable for your customers and available for quick help, especially when things go wrong. This is what today’s consumers strive for. As they say “If you think it’s expensive to hire a professional to do the job, wait until you hire an amateur.” There’s nothing more frustrating for your customers than dealing with unknowledgeable, unprofessional customer service reps. That’s why you need to make sure that your customer support team is properly motivated, trained, authorized to solve customers’ problems and equipped with the right customer service tools to provide fast and efficient support. Socially connected and empowered consumers can easily make or break your brand. It was recently estimated that a satisfied customer will tell up to 3 people about his positive experience with a company. While a dissatisfied one will share their lament with 8-10 people and some will even push that number to 20. Word-of-mouth is truly very powerful. Treating every customer like a VIP will make it work FOR your brand, not against it. For many businesses, the default approach to customer service is still to solve the problems as they come up. But today’s demanding customers expect businesses to be more proactive to their needs and requirements. Companies that are truly customer-focused provide proactive customer service and organize their processes and systems around their customers’ needs rather than their own. As a result, proactive customer service strategy leads to increased customer satisfaction and loyalty. As Tom Peters once said, “Exceptional customer service is not about getting what you expected, it’s about getting what you didn’t expect.” Customer service that goes beyond expectations, is a surefire way to turn your customers into devotees who will be happy to spread the good word about your brand. Which is why your customer service reps should make every effort to deliver a little bit more than what is expected or previously promised. 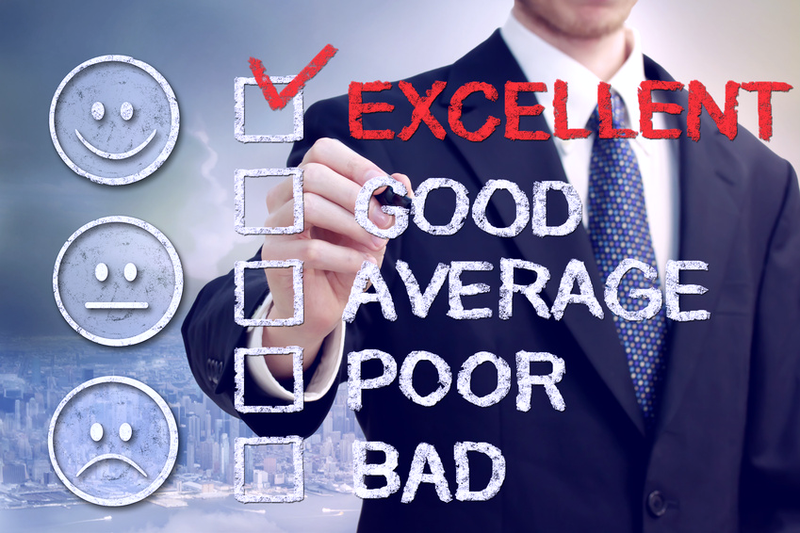 Are there any other steps to making customer service shine that you would recommend? Feel free to share! This entry was posted in Articles, Best Practice and tagged customer service, customer service strategy, customer support. Bookmark the permalink. Thanks for the pointers. I just implemented live chat to my website and am hoping I get some use out of it. 🙂 I am a mobile dj entertainer so the demand for our services is not as large as alot of other businesses but we are optimistic. Please keep blogging! Interesting pointers – about 95% of what I used to tell the agents with my brainstorms… there simply is no better advertisement today than word of mouth.. Thanks Gerda, totally agree with you on this, word-of-mouth is the most powerful advertisement for businesses. Good foundation and reminders. Thanks for the post! Thank you very much for all your efforts to give us the best services. We are growing up pretty fast on our business and all the credit goes to your team. LIVE CHAT SUPPORT is really amazing. Hope our business will grow further!!!! Thanks a lot, Gong! We’re really happy to be helpful and we’re wishing your business incredible success and growth! OMGoodness, it so refreshing to see someone who knows true about “Customer Service”! It has and always will be about the customer and their needs. No mountain is high enough, no ocean is wide enough, and time is never an issue, all to get the satisfaction of hearing that customer say, “Thank you so much! You didn’t have to do that! You have exceeded my expectations!” So all of you out there who knows what real “Customer Service” is about, your company or your position at your organization, will definitely find success! Keep up the good work, you have found the key! Thank you MzNetta, that’s right, it has always been and will always be about the customer! One of my first jobs in the industry was actually in customer service in IT. As an IT support person I had my customers literally LOVE me by just doing whatever every single customer service person is supposed to do: pick up the phone the first time it rang, do my job and deliver the solution, be polite and genuinely interested in the customer’s business and experience and generally be nice and easy to work with. In less than 2 years I actually helped out more than 2000 customers with very significant revenue for the company. My job was never outsourced and I got raises. It’s true it was more of a L3 tech support role in network devices but in reality the secret is that in fact there is no secret. Thanks Adrian. When it comes to customer service, sometimes it’s really the people who make all the difference. These five steps should be well known to any entrepreneur and it is a pity how much of the business leaders do not consider them. Even the best product could be ruined by bad customer service. What we do, is to hire customer support agents that have previous experience in the industry that uses our products. In this way, when clients call for help, the service agent really understands what they say. They know the business specifics and are able to provide the customer with focused, practical answers and respond adequately to any situation. This helps quite a lot. I could say number 2. and 5. are my favourites, especially number 5. When done the other way round, it always ends as a disaster. And still, I can see it happening all the time. Thank for the good article. Hopefully more people will read this. My pleasure, Faith, glad you enjoyed the article. Hiring customer support agents with the previous experience in the same industry is a great strategy.